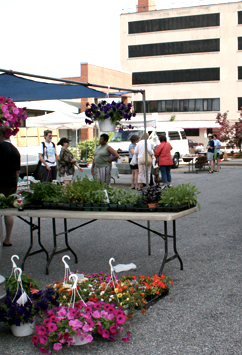 At the H Street Farmers' Market you can find a plethora of fresh, farm produce. From freshly baked wheat bread, goats' cheese with herbs and other artisan cheeses, fresh brown farm eggs, certified organically grown fruit and vegetables and freshly baked goodies. Find gooseberries, blueberries, white peppers, potatoes, cucumbers, ice cream and pork that has been pasture-raised. Although this is a small market, farmers only bring to sell what they have produced on their own land, and are more than willing to share their knowledge and give advice when asked.